We have an idea how to spend great evening! But, there is a more important task: SAVE THE WORLD. 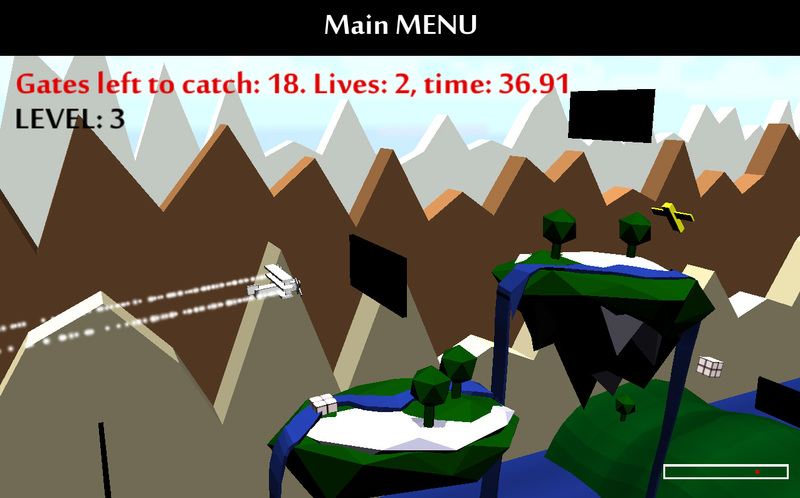 Fly through our beautiful 3D world, collect all the checkpoints (gates) and avoid annoying crazy planes. SAVE THE WORLD. NOW. NO more tapping. NO more need for 3rd set of fingers. Slowly swipe up and down and our advanced engines will do the rest. 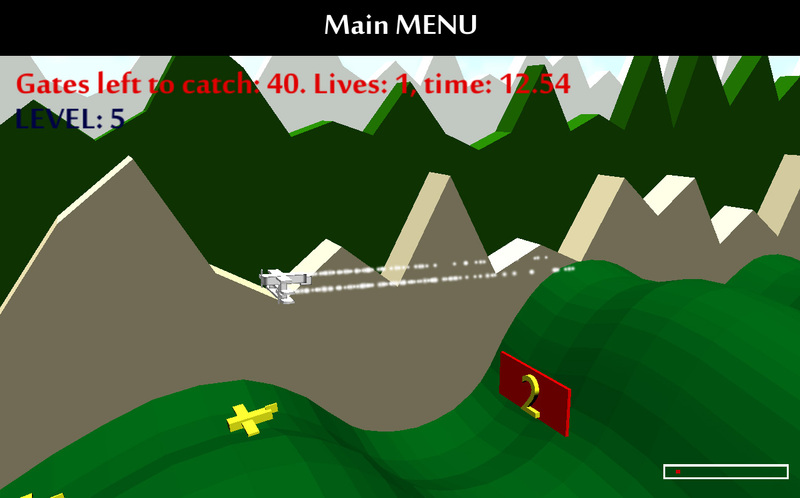 Enjoy in 3D landscapes but don't forget enemies in air and on ground. In our perspective, 3D perspective is the only way to avoid enemies and do the job. If you have a fast device turn on shadows and enjuy even nicer environment (Main menu / option / graphics). What's the problem with xCode, every compile throws new error. Our moto is "error is just another error" and expect soon version for your beautiful devices...No kidding, we love i(var, džem, phone, pad, pod,...). Improbability drive is nothing compared to our ion-jelly two stroke fuel injected engine with modified injection and timing 3d maps. Special wing design create wortex behind plane and making more torque. 3D engine is UNITY 3D. You can't die. Your wings will not be broken. But timer will count every millisecond. Can you be faster than your brother, friend, friend, father, grandma, cat? Your device will send anonymous statistics on our server, and you will know if someone is faster than you. No metter who is it. Try to beat him/her. I'll be more than grateful if you inform me about any problems you have while playing game. Game is stil in BETA and I'm working hard to fix problems and bugs. 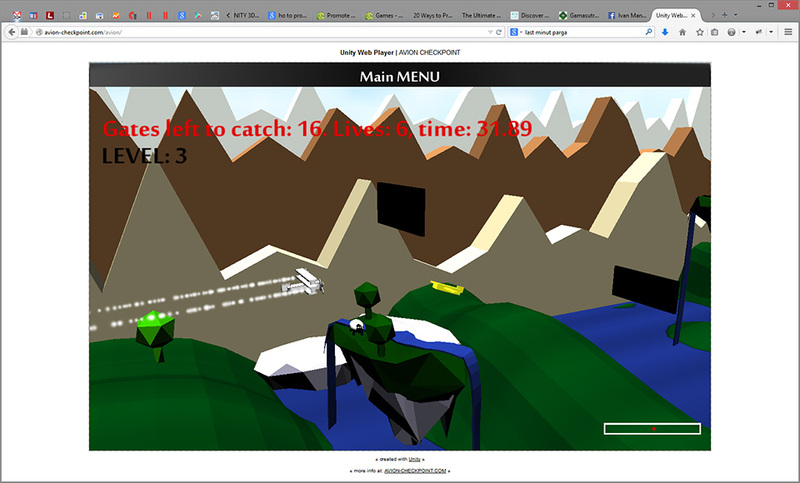 Preview game in web browser at www.avion-checkpoint.com/avion - you will have to install Unity 3D WebPlayer plugin. It's few seconds job. 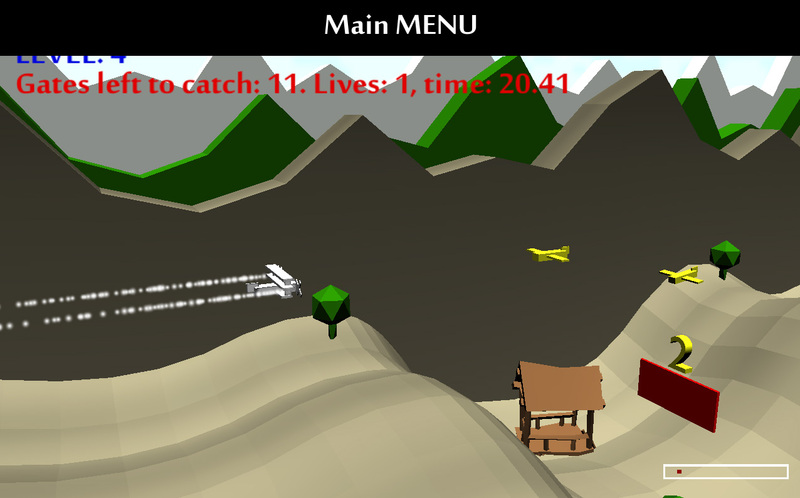 If you like idea and you appreciate my work, please click on ads between levels (optional) and allow me to create new levels, new airplane 3D models, different physics based on airplane model or conditions in game. Right now, priority is a game server for top scores and statistics. I'm working hard on 10 more levels, and in near future I'm planing to put machine gun on airplane so you will be able to shoot enemy planes, and new game mode: "kamikaze". 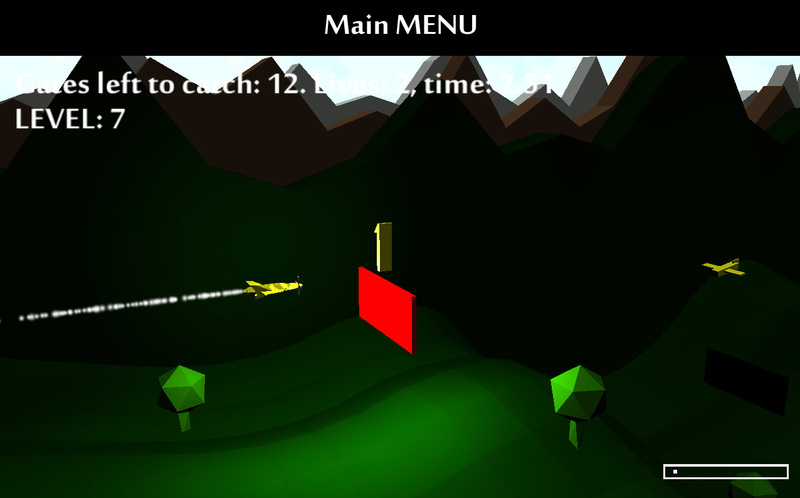 Update: Double tap on screen shoots missiles from your airplane. Checkout few screenshot while we are preparing gameplay video on YouTube! Or you think that VIMEO is better? Update: YouTube video is below under images. Slow enemies, just to heat up finger. Avatar world is boring compared to ours. Why he is shooting missiles on our plane? Because he is ALIEN. Yes. Energy efficient engine work in pitch black. Flying over desert is unique experience. Go back if you missed checkpoint. AVION CHECKPOINT is unique game made in UNITY3D in about 3 months. Current supported platforms are Android and Web (PC version will be released soon after iOS, with more features, better graphics and textures, better hi-score system). Full 3D enviroment was a first choice because it combines my love for programming, 3D modeling and playing "realistic" games. In the middle of development I have decided to use simple low-poly models and make "retro look", like Test Drive 3, Another World, Grim Fandango, Descent, Comanche Maximum Overkill, LHX Attack Chopper. 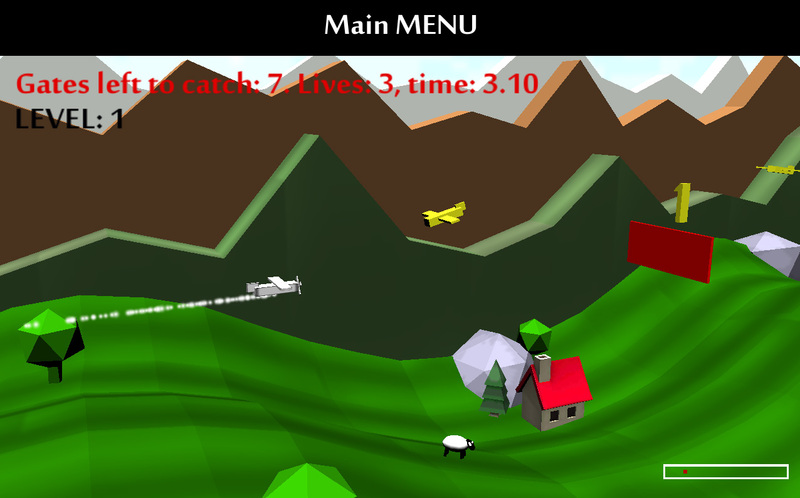 Basic idea is to fly airplane throug different levels and to collect all the checkpoints, but in right order. If you miss checkpoint, you will have to flip over and go back to that checkpoint (easy swipe up or donw until you are flipped over). Focus is on gameplay, our big team didn't find a time to work on textures and sound, and gameplay was a priority, which is all that matters. 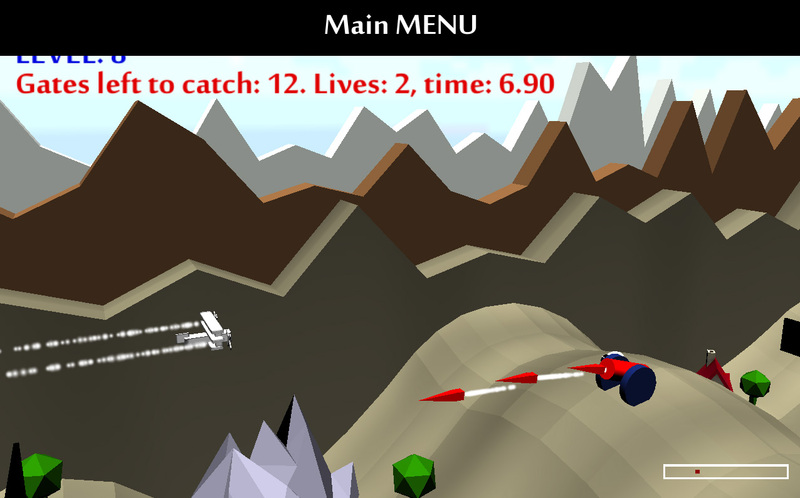 In-game purchase (new planes, better engines, better aerodynamics, more levels,...). If you have a great idea. If you have a great proposal. If you are just interested how to make a game object in Unity3D. If you think that we can work together (You have already made some games in Unity or have a great idea). Contact form was below, but email will be enough. © 2014 by re:SPOT. All rights reserved. All.